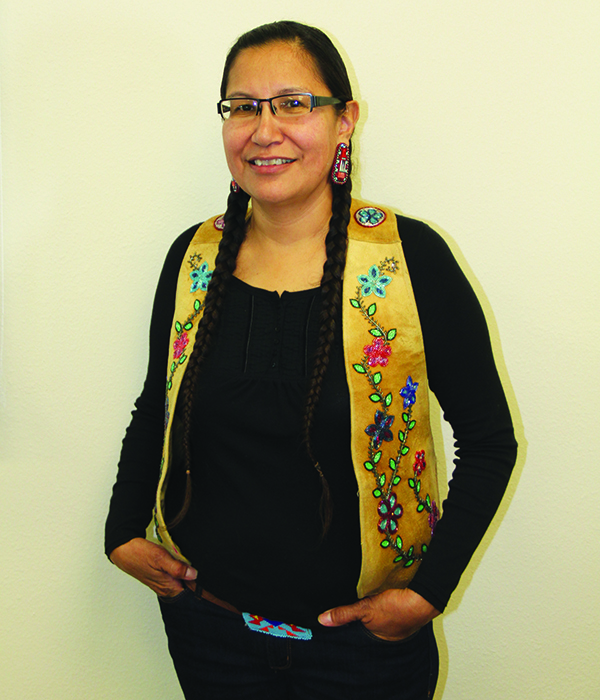 Syliva McAdam (Saysewahum), a cofounder of the international movement Idle No More. Sylvia McAdam (Saysewahum), a cofounder of the international movement Idle No More, recently spoke at the Spring World Issues Forum held at Western Washington University. Prior to her lecture, Sylvia held a special presentation at Northwest Indian College (NWIC) in Lummi to discuss her work to date and to share her mission of promoting Indigenous self-determination and knowledge. Because colonization has dramatically caused the heartbreaking loss of Indigenous languages, customs, and inherent systems, Sylvia uses the oral tradition of her people to share with her fellow Indigenous peoples her dream to revitalize Indigenous nationhood. It is Sylvia’s dream, shared by many, that freedom, liberation, and self-determination will lead Indigenous peoples away from the pain of genocide and colonialism. Following her truly riveting presentation, she sat down with Tulalip News staff to discuss several issues that are of importance to not just citizens of Tulalip, but all Native peoples. During your presentation you mentioned as Indigenous peoples we shouldn’t identify as ‘environmentalist’ or ‘activist’, but instead view ourselves as defenders of our homeland. Why is that? Viewing ourselves as defenders of our homeland should also unite us as Native and Indigenous people with a set of common goals, right? Some of the forces that continue to threaten Native culture and Indigenous identity are more covert than others. You mentioned the term ‘ethnocide’ earlier. Can you explain that? The idea of disenrollment based upon blood quantum is gaining traction amongst many tribes. It’s based on a system of thought not of our own, but passed down from colonization. What are your thoughts on disenrollment? “It’s so unfortunate because it seems we’re always in the realm of inadequacy. We’re always inadequate; its either we have too much culture or not enough culture. We’re always in that measure of inadequacy. Ultimately, we can turn to our ancestors to see we never throw away our relatives. We never throw them away, even the ones we have come to adopt. It’s against our culture and against our natural laws as Indigenous peoples. At the end of the day, if you can demonstrate and show to me where your lands and your relatives are, then doesn’t that speak for itself? Every child, every original peoples’ child is born into lands. They have an inherent right to protect and defend those lands. No human can take that away from them. What astounds you most when you look back at all you’ve experienced and achieved over the past few years with Idle No More? “The amazing courage of grass-roots people when they set their minds to things. That’s what blows me away. The courage and determination of so many individuals who unite and come together for a common goal is what drives Idle No More. On a global scale, we got a message from the Amazon, from the original peoples there, and they told us they were trying to stop the development of a dam. While defending their homeland they were opposed by paramilitary brought in to keep them away from the dam site. On one occasion they were standing there with their spears and bow and arrows chanting ‘Idle No More!’ while the paramilitary pointed their guns at them. They told us Idle No More was their battle cry. This entry was posted in News, Top Story, Tulalip News and tagged Idle No More, Sylvia McAdam by Kim Kalliber. Bookmark the permalink.